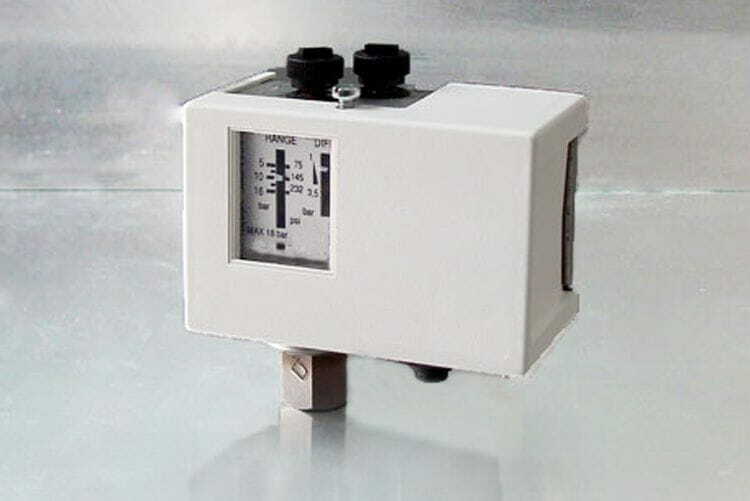 Low cost pressure switches, suitable for most non corrosive fluids. Not recommended for outdoor applications. Adjustable deadband. Single change-over contact (SPDT). Switch rating 220Vac 15A, 24Vdc 10A. Availabe adjustable ranges: 0...3 bar, 0...0 bar, 3...16 bar, 0...30 bar. All with adjustable deadband. Port connection ¼" BSP-Female. Maximum operating temperature 100ºC.